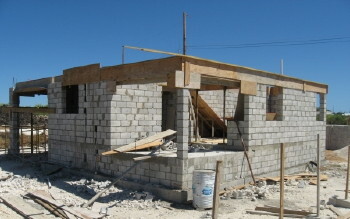 A mother working in the USA asked her daughter to supervise the construction of a property in Barbados, sent all money to that daughter at various stages of the construction from beginning through completion. The mother also payed the mortgage for the ensuing 20 years, returned to Barbados on holiday in the intervening years believing the property was in her name as indicated by correspondence. Finally retired from her work in the USA only to find several years after that the property has been stolen (deeded) by that same daughter who registered the property in her name as sole owner. When the matter; supported by documentation is brought to the very law firm who did the original settlement find that the firm is unwilling or non cooperative or too embarrassed to unmask the obvious fraud. Leaving the victim, the mother, to seek alternative legal representation from other lawyers who take the case ask for a large sums of money with the promise to recover that property only to find that despite all the proof and supporting documentation of ownership nothing is done, 5 years on. What would BFP’s readers suggest is the best course of action/suggestions to make this right? * The photo has nothing to do with this story. Just a home under construction.